Newcomer Family Obituaries - William David 'Dave' Wahrer 1933 - 2018 - Newcomer Cremations, Funerals & Receptions. William "Dave" Wahrer, 84, passed away Sept. 7, 2018. 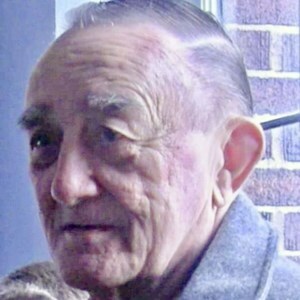 He was preceded in death by parents, Elsie Shaw Micks and William Wahrer; wife, Jackie Wahrer. Dave is survived by son, Mark (Brenda) Wahrer; step-children, Jaime (Don) Lathem, John (Karen) Beaver, Tami Hedges, Jaime (Jason) Ash, and Michael (Amanda) Beaver; many grandchildren and great-grandchildren; other family and friends, including his extended Moose Lodge #11 family; and furry friend, Oxnard. Dave was born in Xenia, OH and graduated from West HS. He then went on to serve in the USMC during the Korean Conflict. After the service Dave retired from National Graphics Printing Co. and went on to be a bartender for Moose Lodge #11, of which he was a lifetime member. He also held memberships at American Legion #532 and VFW #4044. Visitation Thursday, Sept. 13, 2018 from 2-4 and 6-8pm at Newcomer, SW Chapel, 3393 Broadway, Grove City, OH. Moose Service Thursday evening at 7:30pm. Funeral Service Friday, Sept. 14, 2018 at 11am at the Funeral Home. Private interment to take place at Sunset Cemetery, Galloway, OH at a later date. In lieu of flowers, donations may be made in Dave's memory to Moose Lodge #11. Add your memories to the guest book of William Wahrer.